We Wouldn't Be Surprised… | 2P START! 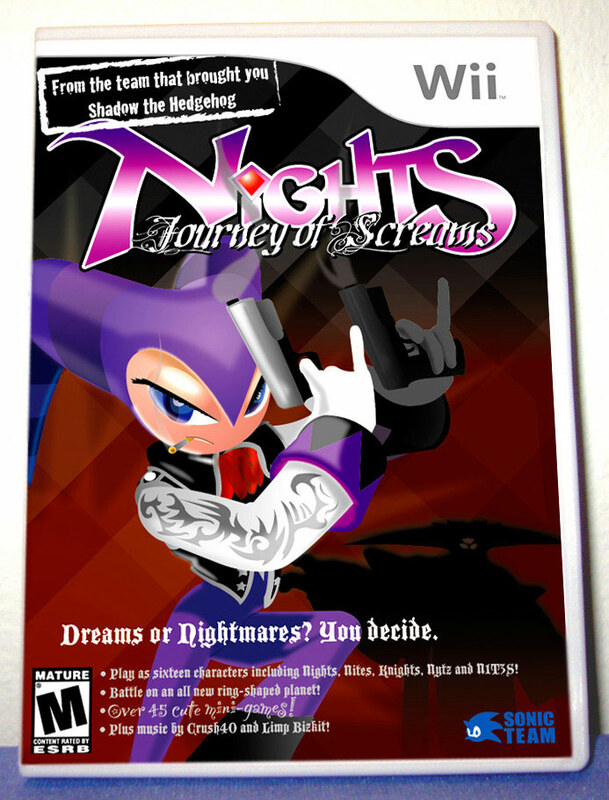 Well, everyone is excited about the big announcement for the Wii, NiGHTS: Journey of Dreams is coming and will be a Wii exclusive. 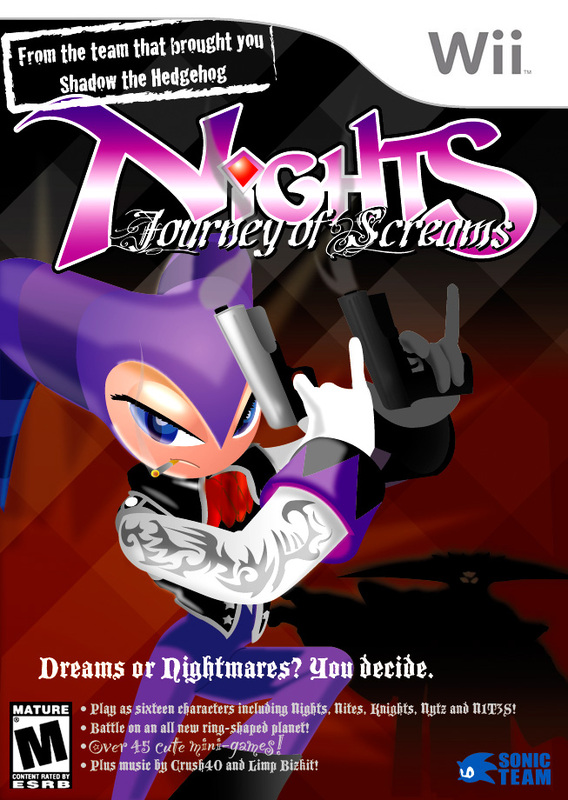 It’s always nice to see old, under-appreciated, cult franchises like NiGHTS get revived years later, but remember who’s making this game? Yeah, Sega, or more specifically Sonic Team. Our comic isn’t saying we’re not excited for NiGHTS, it’s just that we’re looking at things in a historical context. This is the company that brought us Shadow the Hedgehog for crying out loud. We’ll get excited when we’ve played the game and know for sure that Sega left well enough alone, and didn’t try to revive, revamp, rework, or re-anything-else the NiGHTS franchise. If anyone likes this comic enough to do something with it (like make an avatar or wallpaper), here’s the original version without the Wii game case photo part. NiGHTS holds a special place close to my heart, and there’s really no point in making another NiGHTS game unless it will be better than the original. One thing that may be easily overlooked is the music, which was one of the most important things to the original – whether people realized it at the time or not. Don’t mess this game up…. I managed to sneak the symbol from Shadow the Hedgehog on NiGHT’s elbow. Black Doom was a must for this comic because he represents everything that’s wrong with current Sonic Team efforts. I doubt that will happen but good comic never the less. p.s you made it really look like a real wii box, good editing. I agree, this is great work. Take care, happy gaming, enjoy life! Perhaps a bad idea saying, “from the creators of Shadow the Hedgehog,” any competent, knowledgeable gamer would have been frightened away from that statement right there. Not as bad as saying, “from the creators of Big Rigs: Over the Road Racing,” but damn close… very damn close. Pfft. It’d be like T…or E10…like the neopets game! I swear that is my favorite comment to make about Shadow the Hedgehog…that it tried to go down a darker path and got the same rating as the Neopets game. XD I love it. Limp Bizkit, you say? I’m in.